Victoria Blinds is run by husband and wife team Brian & Vicky. We have our own workroom where our Roman blinds, curtains and ‘fancy’ furnishings are made. 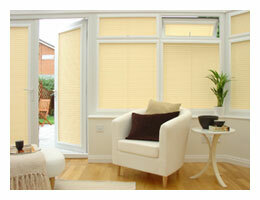 Victoria Blinds offers a mobile service, with free measure and fitting, visiting clients days, evenings or weekends. Both being very sociable, we enjoy meeting new people, and there is a definite sense of satisfaction leaving customers with beautifully transformed windows! We love blind & window furnishings! Going straight into a blind manufacturers from school, I was instantly fascinated with the industry. Window furnishings are forever changing and improving – there are so many exciting styles to chose from – over 20 years later and I still love the trade that I’m in. How can the right window furnishings transform your home? The transformation a quality blind can make to a room is amazing, and the benefits they provide is incredible. Not only are there some beautiful materials, but the privacy, energy-saving and security aspects they provide take some beating.